The A6000 is an upgrade of the Nex-6. 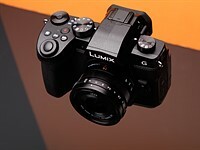 Litterally, it adds the 24Mp processor and the fast(er) hybrid PDAF focusing to the Nex-6. The Nex-6 already was feature-rich over the Nex-7, but it had to make do with Dual Navi, No Mic input, AEL only (no AF/MF lock), and the composite body. If an A7000 emerged, as a Nex-7 upgrade, it would add these three features, but it would need something else for jazz: Better EVF? Perhaps. Metal body? Perhaps. Higher resolution? Perhaps. Tri Navi? Perhaps. Do you see where I am going? They need a way to spruce up the A7000 to justify a $500 differential against the A6000. It they up the resolution, I expect no less than 32Mp, but this may put pressure on certain lenses. So a new lens may be in order then as well. Who knows? As is, the A6000 is neither an upgrade of the Nex-6, nor an upgrade of the Nex-7. It is a blend of the two. If you use the Nex-6 with WA RF lenses, you have great performance. On the A6000 this is still to be seen. If you use the Nex-7 with Tri-Navi, AF/MF-lock you have to change your shooting style with the A6000. It will feel like a different camera. The other speculation that remains is that the A7000 will not be a Nex-7 RF-style body, but will get the A7 drape with an APS-C sensor inside. That would justify its $1,200 price point better. But perhaps it will be called A6, and that would be very confusing. Would there be room for both an A7000 (Nex-7) and A6 (APS-C)? I think perhaps so, but I am not sure about the volumes. Nex-7 sales had dropped off significantly last year, and the competition around $1,200 MILC camera bodies is pretty fierce. Putting up an A6 body may simply sell better. But why not a $800 (body only) A7000? It would fly off the shelves as you would get 'enough' for the extra $150 price delta (A6000 + extra features).